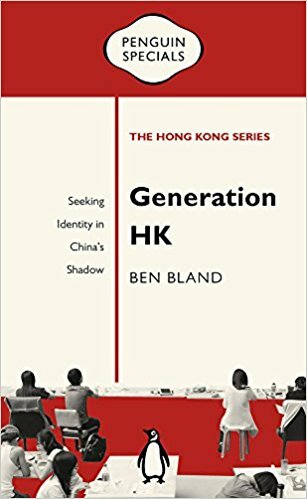 A new contribution to the Penguin Specials Hong Kong series, in Generation HK: Seeking Identity in China’s Shadow author Ben Bland offers a pocket-sized investigation into Hong Kong’s up-and-coming generation. This is a welcome and easily digestible introduction to the political and social issues Hong Kongers are grappling with today, expressed through engaging prose focused on people rather than statistics, writes Thomas Kingston. Generation HK: Seeking Identity in China’s Shadow. Ben Bland. Penguin. 2017. From an early age Hong Kong has played a central role in my deep-rooted curiosity about the world. Whether it was the Tai-Pan saga of novelist James Clavell or the excellent history by Steve Tsang, any reading material was devoured. As I grew older, the attraction to Hong Kong was converted into a succession of visits to this enclave of towering concrete and emerald hills. Earlier this year I had the pleasure of visiting Hong Kong as a guest of the Democratic Party – a stalwart of the ‘Pro-Democracy’ camp. What made this extra special was that it was the time of the Chief Executive election – I was able to witness and explore first-hand the competing identities at play in Hong Kong. These identities are far more than being pro/anti-Beijing and are also deeper than young/old – with some of the most prominent ‘pro-democracy’ activists being those who had previously protested about the lack of democracy when HK was a British colony. However, a new generation of Hong Kongers has come to the forefront, similar in some ways but radically different in others. I use the word ‘radical’ as these people are trying to find their place in the twenty-first century and, with no real memory of the British but a definite disassociation with the mainland, they seek radical answers to key questions of identity. This is where Ben Bland’s Generation HK: Seeking Identity in China’s Shadow comes in, a beautifully presented contribution to the Penguin Specials series on Hong Kong. At just 126 pages, it is perfect, as the blurb says, for reading on your lunch hour or at bedtime. Bland, South China correspondent for the Financial Times, brings a combination of academic analysis, grassroots insight and longstanding interest to the field with this pocket-sized investigation into what Hong Kong’s up-and-coming generation are all about. Exploring the different layers of the ‘HK Generation’ – who, Bland explains, are set apart from their parents by mainly being HK-born – we start with a series of interviews with the leaders of the Student Movement. Joshua Wong is probably the most recognisable political individual in Hong Kong right now, not only for grabbing recent headlines across the globe for being in and out of prison on charges related to his role in the protests, but also for having spawned a Netflix documentary and being invited for meetings with various high-ranking US politicians. This, Bland explains, led to the Beijing government portraying him as a puppet of outside interests and flexing their huge soft power to limit his travel plans, with Malaysia and Thailand both refusing entry and deporting him. Bland charts the development of disaffection with mainland-imposed regulations and policies, of which Wong has been at the forefront since the early 2010s, and also explores the backgrounds of Agnes Chow, who dropped out of the Umbrella Movement protests due to alleged threats against her family, and Nathan Law, who, being born in Shenzhen on the mainland, has experienced life on both sides of the border. In this section, Bland’s journalistic background shines through – rather than a dry political analysis, these are depictions of humans with their fragilities and passions clearly illustrated in easily digestible and flowing prose. Bland’s decision to avoid this becoming an overtly political study is made clearer when the next chapter tackles a different phenomenon. ‘Tiger Mothers’, thanks to much press coverage and a number of books, are well-documented in the West now, and so is the intense pressure of South Korean and Japanese examination systems. Hong Kong and its super tutors seem to have escaped this attention, but after reading this chapter I’m perplexed as to why. Due to the highly competitive nature of the HK university system, the desire to get in is key, and that’s where these tutors come in – teaching cramming classes and webinars to thousands of students each year, they have near-celebrity status in HK, their carefully coiffed profiles on hundreds of billboards and buses. With one tutor being offered eleven million US dollars per year to change institutions, it’s clear that big money is involved. The inclusion of the super tutors element isn’t just about the individuals tutoring: instead, it provides context for the previous chapter, placing youth in a vice of both parental pressure to succeed as well as political pressure from the mainland for them to be more ‘Chinese’. The next profile is that of the ‘Professional Democrats’. Whilst combining an active role in politics with a white-collar job might seem common in the UK, given the mainland owners of many HK companies and the continued success of businesses often depending on the continued good relations between Beijing and HK (i.e. further integration if possible), setting out your stall as an opponent of Beijing and a champion of localism might not seem the most obvious route for a Hong Konger. As Bland explains, their numbers are relatively few, but their motivation is telling: for instance, we meet politicians hoping to stop the flow of mainland immigration for fear of their culture and language being eroded (Cantonese and Traditional characters are a key part of the HK identity). This relatively populist stand isn’t unique to Hong Kong nor is the continued return to the issue of Hong Kong identity, seemingly viewed as a civilised culture (due to the belief in democracy etc) as opposed to the uncouthness of the mainlanders (their dropping of rubbish is an issue often brought up). Given the political nature of these individuals, it’s a shame that a counter-opinion wasn’t included from a Hong Konger less anti-Beijing, but it nonetheless offers remarkable insight into the individuals who are setting up their stalls for the decades to come. Disaffection is a key theme of this book, but the question of ‘what happens next’ remains undeveloped on the whole, until we reach the last chapter. Here, we meet those engaged in the struggle for complete independence from China: something supported by only 17 per cent of the population but 39 per cent of Generation HK. Rather than work in think tanks, organise colleagues or start political parties, these ‘bad boys’ are at the forefront of the scuffles and riots, burning Chinese flags and risking jail time. The most radical are barred from election and instead resort to proxy candidates (also subsequently banned). Despite their radical position and borderline association with violence, we see a really passionate group of people who seem to actually thrive on China’s restrictions of their actions, almost like rebellious children defying their parents’ instructions. In this book, Bland manages to make personalities come to life: he brings their concerns and the general situation right into your living room/office/coffee shop and he makes the narrative about the people rather than the statistics. Yet, theory is present: the definition of Hong Kongers using mainlanders as the ‘others’ to find their own identity is a strong use of anthropological/sociological theory and links well with the collected interviews. All in all, this is a great short book, perfect for an introduction to the current situation and unafraid to tackle major issues. I am left wondering, however, as to what arguments the Pro-Beijing camp might make as the radical localists are a minority, even if they do have a loud voice. I look forward to seeing the rest of this series in the coming future. Thomas Kingston is a postgraduate student at SOAS, University of London, reading for an MA in Pacific Asian Studies. Alongside this, having been awarded a Blackstone Entrance Exhibition from Middle Temple alongside the Vice Chancellor’s Scholarship from BPP Law School, he also studies the BPTC/LLM. Prior to this, he worked in human rights law in Cambodia and is a frequent visitor to East Asia. His research interests include concepts of ethnicity and their influence on state-building and the influence of Classical Chinese philosophy on contemporary politics, policymaking and society.